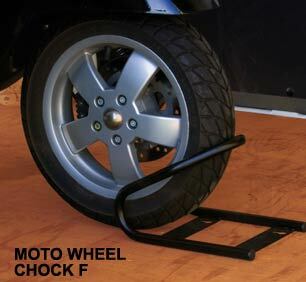 The Fiamma Moto Wheel Chock F (front wheel) is the wheel chock for your motorbike. Functional, solid and light and made of black anodized steel. Easy to assemble and to remove thanks to its 4 screwÆs anchor holes. Its tapered design enables it to stabilise wheels up to a maximum width of 165 mm. Complete with a kit for fixing to wood floors. 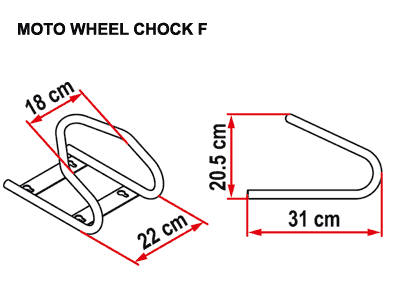 Package includes 2 click strips for fixing scooters and motorbikes. 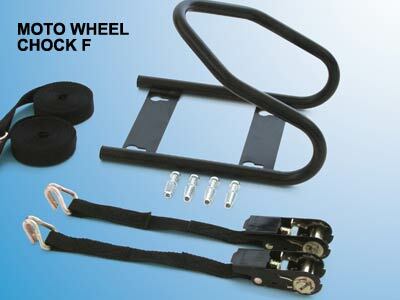 Supplied with fixing kit for wooden floors.